Julia and Erika — two of my favorite people! Erika — I finished up my current read just this morning, and guess what’s next? The Mermaid Collector (I couldn’t resist and read the first few pages … immediately drawn in!!). Cannot wait. I love the way you analyze and explore relationships in your books (and even in your blog posts), so this is sure to be a treat. The way the story came about is SO fascinating. It’s amazing where those kernels for our stories/novels originate. A mural for you! For me and the next potential WIP: a fleeting glance at something as I tooled down a Pennsylvania highway. Can’t wait to get to Maine to see those lighthouses for myself! Great interview, Julia and Erika. I love that you have been inspired by something you saw driving–that has happened to me too–and I love that. Thank you so much for cheering me on, my friend–and it’s so neat that you mentioned that about analyzing relationships–just a few hours ago I was speaking with my mom about how we can’t help but do that, can we? 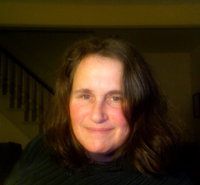 Julia, thank you so much for letting me come back and visit your wonderful blog again, my dear! I feel so fortunate that we connected over twitter, never knowing how close we already were in geography and reference–so fantastic. And thank you for such thoughtful questions that were so much fun to answer!! Hi shary! Thanks for your comment and a fellow wife of a woodworker! Yay! Do you ever try your hand at it? Loved this: “seaside life always bring with it an irresistible element of enchantment.” So true! Very nice interview. 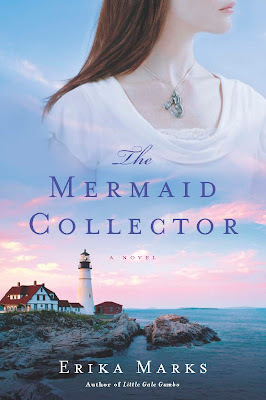 The Mermaid Collector sounds quite intriguing. “They are no less powerful or meaningful, but they may be briefer and without that guarantee of forever.” This is so true, Erika, not just in romantic relationships but in friendships that come into our lives at just the right moment and quickly fade. I’m fascinated by stories with elements of magic and mystery (and did I ever tell you how I wanted to be a mermaid when I grew up, much like most little girls?). I can’t wait to read your novel. Such a good point about friendships that flare in and out of our lives sometimes briefly but have such a lasting impact on us. Sometimes it’s more about the timing of when someone comes in to our lives than how long they are there. This sounds like a great novel. I’m already a fan of anyone who blends romance and food! Erika is such a neat person! I feel like I could just sit and listen to her talk all day–and having read Little Gale Gumbo, I know I could sit and read her words all day, too. Can’t wait to savor this new book; the food descriptions are delightful! Your book sounds positively magical, Erika. Gosh, I miss the ocean in the NE, and all those beautiful, mysterious (and inspiring) lighthouses. A Mermaid Mutiny? That’s never been done before (I don’t think) what an original idea! Cynthia, thank you for your kind words, my dear. I’ve missed checking in with you–and I loved your post about Michael Morris’ wonderful book. Are you doing NaNo this year? I’ve been determined to try this year for the first time. I love hearing how you got your story idea, Erika. I find that part of the writing process fascinating. Sometimes it is just a mention that comes across it the most innocuous of ways like seeing a photograph in an architectural magazine. 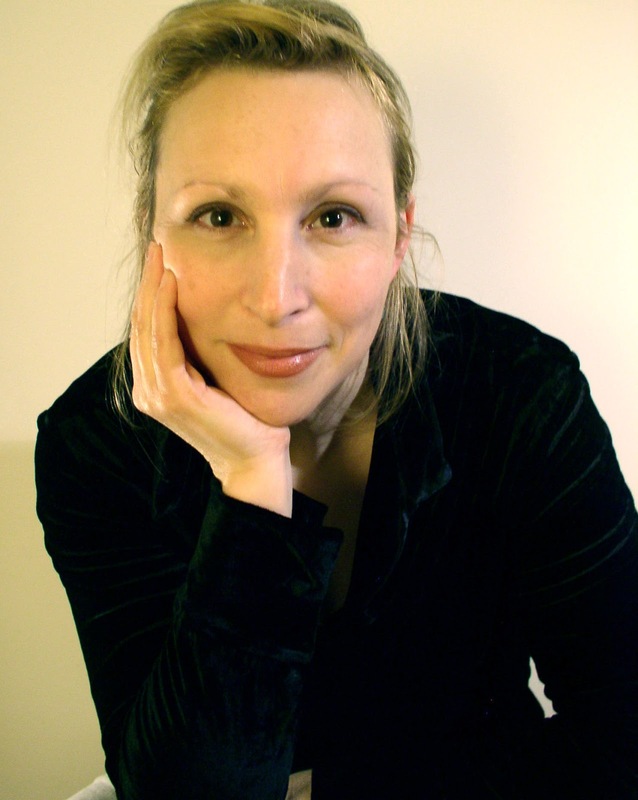 Julia – you always ask the best questions! Thank you for the kind compliment about my questions, Jackie! I’m glad you enjoyed the interview! Hi Jackie! Oh I can’t wait to hear what you think! And I love that you got some gumbo–and during an LSU game, no less. Perfect! I’m so intrigued! I love books that work themselves around magic and legends, mystery and discovery. I’m looking forward to reading The Mermaid Collector. Hi Lisa, thank you so much for saying so. I had a wonderful time building the legend for the story–and thinking of how it might be different than what the townspeople thought they knew. Thank you, Nina! I hope the new school year is treating you and your family well! Loved the Q&A, ladies! Thanks for giving us some more background, Erika — I so enjoy hearing about the little details of how it came together. Amanda!! It’s so great to see you! I’m so glad you enjoyed the Q&A and hope you enjoy Erika’s book as much as I did. Hope all’s well with you! Amanda, hello, dear! I’m going to echo Julia and say it’s so great to see you here. I miss you! I hope all is well at your home and with your writing. Are you doing NaNo this year? I loved “Little Gale Gumbo” and now cannot wait to read Erika’s second book. I loved her descriptive writing and Maine background. I’m looking forward to reading it Erika.